Between the start of July and the end of October, the country approved 3,102 visas, as against 6,462 approved in the same period last year. 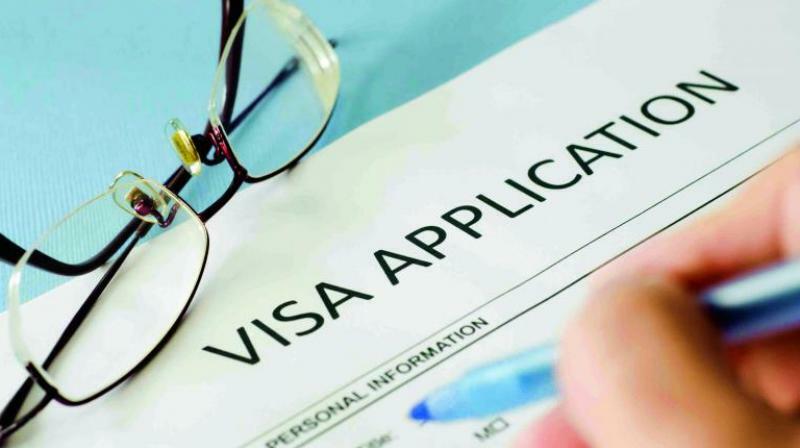 Melbourne: Tightening its visa rules, New Zealand has issued half as many new study visas to Indian students in the past five months as in the same period last year, turning down too many potential students from India. Between the start of July and the end of October, the country approved 3,102 visas, just 48 per cent of the 6,462 approved in the same period last year. The fall was due to tighter rules for, and monitoring of, study visa applications from India because too many students were arriving with too little money to support themselves and too little English to study here, New Zealand's public broadcaster 'Radio New Zealand' reported. New Zealand's Mumbai office was turning down too many potential students. "It's a matter of loosening up in Mumbai and saying 'this is now a catastrophic collapse'," he said. "Rather than just trying to cut the shonky providers out of the market and the poor students who are filling in application forms incorrectly, they need to see if we can improve visa approval rates," Chalmers said. He said the government was right to tighten English language requirements, but in some cases it was not clear why students were being refused visas. "It's a wider-sweeping broom that is starting to block students for, from what we can see, no reason whatsoever. Students that would have previously been given visas are being declined," he said. Richard Goodall, international education spokesperson of Independent Tertiary Education New Zealand (ITENZ), said good institutions would cope with the fall in enrolments from India, but others might go out of business. ITENZ represents several hundred private tertiary institutions. Goodall said the number of visa approvals was lower, but the calibre of students was higher. Tertiary Education Minister Steven Joyce said the lower number of new visa approvals was likely to continue for a while. He said Immigration New Zealand was not being too tough. "Don't forget what we're doing here is we're focusing on the things that are important for students to succeed here in terms of their English-language capability and their ability to support themselves financially when they're in New Zealand. "So I make no apology for making sure that those things are followed up on and the declarations students make are correct," Goodall said, adding that a correction to the Indian market was needed.